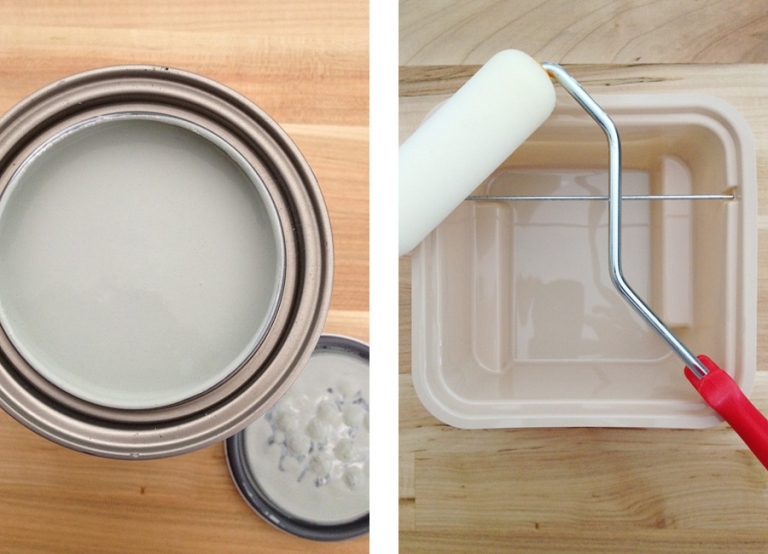 Did I ever tell you how much I love DIY projects around the house? When Chris and I bought our very first home back in 2005, I think we felt invincible, like we could do any and all of the fix-it projects around the house. Home Depot says, “You can do it, we can help,” and we believed them! We frequently tackled the projects that most people face with a new home – painting, installing appliances, replacing light fixtures, hanging shelving, etc. We’ve since become pretty busy with our jobs and haven’t had as much time to do DIY home projects, but we still do some smaller ones here and there. 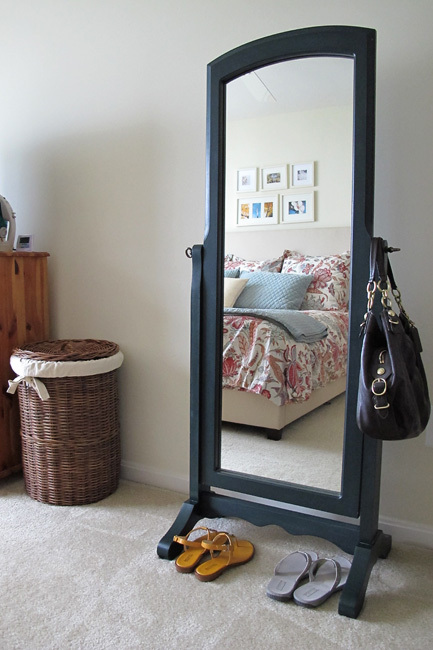 Over the summer I finally refinished this standing mirror in our master bedroom. I’ve had it since I was in high school! Back then, this sort of forest green went well with my room, but it certainly didn’t work with our bedroom today. So I decided on a paint color that would tie in with our drapes and bedding. 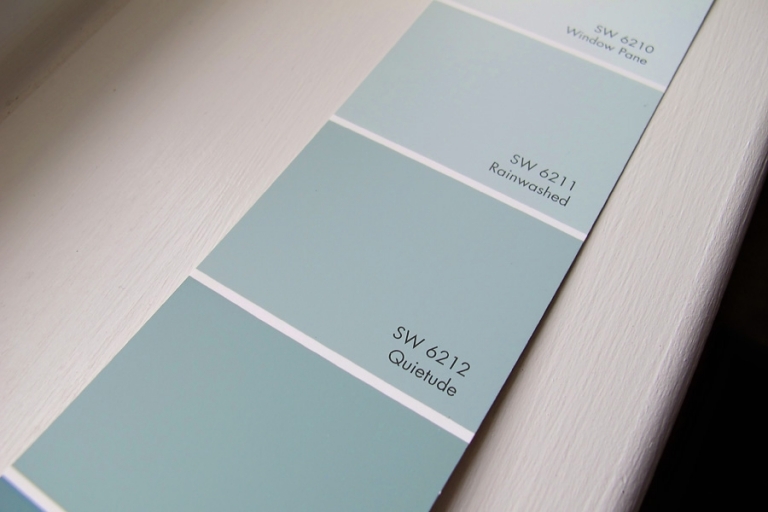 I may one day change out our duvet color, but I always want this sort of soothing gray-blue-greenish color in the room, so I landed on a Sherwin-Williams color called “Quietude.” Isn’t that a perfect name for a bedroom paint color? I took the mirror apart in the garage, and got to work. I went right ahead and applied a layer of Zissner primer without sanding because I’m lazy impatient efficient like that! I used a small foam roller for the primer and the paint (one roller for each), and used a small foam brush to work into the corners. 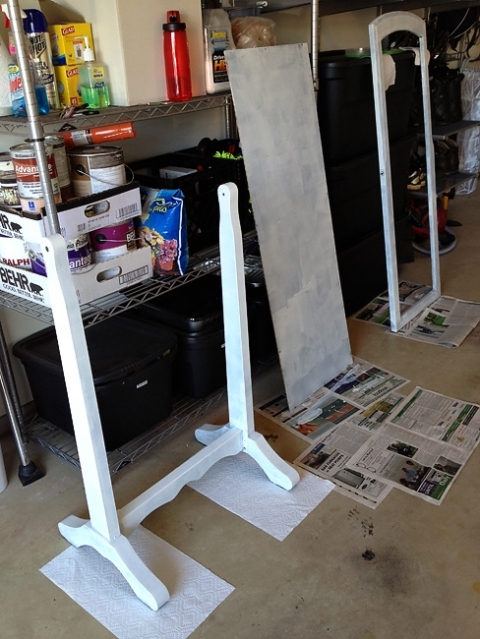 I let each coat dry for several hours in between. 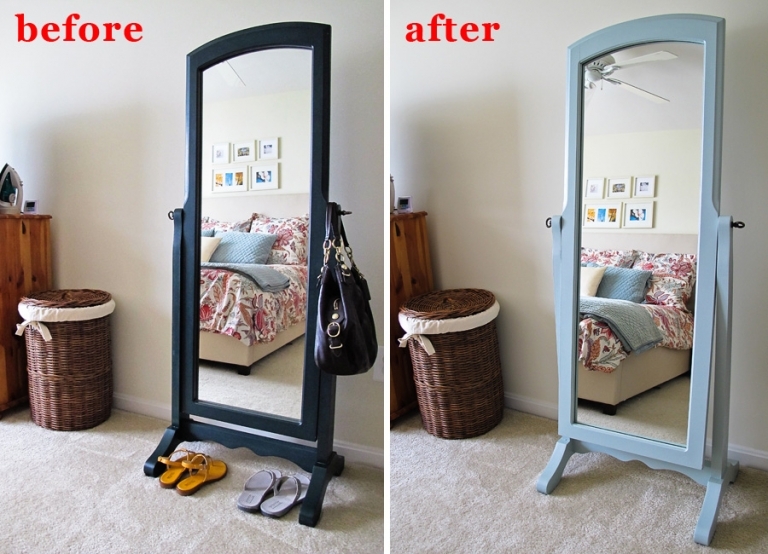 Two coats of Quietude later, here is the before and after! I love the new color, and it works perfectly in our bedroom. The color is nice and soft, and not even a tiny sliver of that dark green is showing through the light blue-green thanks to Zissner! I really wasn’t sure what kind of finish to expect since I didn’t sand first, but it turned out very smooth and I’m really happy with it. I suppose if there were lumps and bumps in the original green paint I would have sanded, but luckily it was a job well done by my mom who originally painted it for me in high school. And here’s a wider snapshot of our room. It’s still a work in progress – we need to get some shelves up on the walls, and I eventually want to do something else with that dresser the TV sits on. But isn’t it so fun to peek inside people’s houses? !